Chelsea are considering making to a move for Atletico Paranaense midfielder Bruno Guimaraes; it has been claimed. According to Daily Mail, the Blues could make a move for the Brazilian midfielder in the summer, should they succeed in postponing their transfer far. Guimaraes has impressed the onlookers of the Brazilian Serie A with some consistent performances this season and reportedly has a release clause of £34.5 million. After a promising start to the campaign, Chelsea have struggled a lot due to their lack of identity in midfield. While players like Jorginho, Mateo Kovacic and Ross Barkley have struggled with lack of consistency, N’Golo Kante’s talents have been wasted in an advanced midfield role, where the Frenchman has failed to influence the game. Thus, the Blues will be in desperate need for midfield reinforcements in the summer, if they are to compete for the title next season, making Guimaraes a viable target for the Premier League giants. The 21-year-old defensive midfielder has already impressed the Blues scouts with his remarkable passing and distribution, meaning he can prove to be an excellent back-up for Jorginho. Despite boasting a rather short figure of 182cm, he is also a physically challenging midfielder, which helps him hold onto the ball even under pressure. But, what makes him such an appealing target for Chelsea is that the Brazilian has tremendous commitment and can provide security for the backline, something the current crop of Chelsea midfielders have lacked in their armoury this season. But at the same time, Guimaraes appears to be a risky option for the Blues given his lack of experience in the highest level of football. The midfielder has made just over 50 appearances for Atletico Paranaense in all competition, and thus, he could find it difficult to integrate to the faster-paced nature of the Premier League. Also, for a fee of £34.5 million, Guimaraes is not only an inexperienced but also an expensive option for Chelsea. 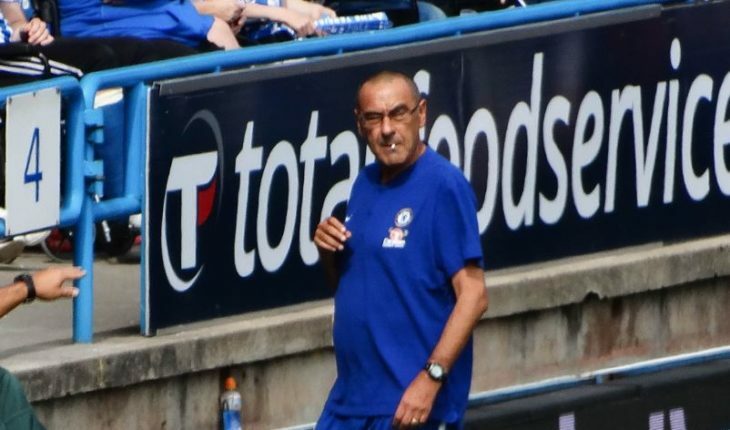 Therefore, the Blues should shift their attention to a more proven and experienced defensive midfielder, who will be able to reinstate stability to the Chelsea midfield next season. Abdoulaye Doucoure, for one, could be an excellent option given his dynamic approach in midfield, which could tune well in Sarri’s tactical setup at Chelsea. But, with the Blues still facing a nasty transfer ban, it will be interesting to see what transpires in the coming weeks.